I rang in the New Year surrounded by family, in the land I love and call home. Diné Bikeyah (Navajoland) was white with snow and blissfully cold the first of the year. I ended and begun the year in the way I aim to start and end every day, with a grateful heart. Processing my hopes from the vantage point of a fresh year, much of what I want to be is better. Whether it’s a better daughter, sister, girlfriend, auntie, or friend, I believe I can be kinder and give more love to those around me. I share these aspirations in the middle of the Hai (winter) season in the “time of the melting snow” Yas Niłt’ees (January), a period of time whose cold air and weather is seemingly harsh but also reaches out to us with caring grace of warm homes and family love. I am looking forward to a new year sharing more of what I have learned in this undeclared break from blogging. 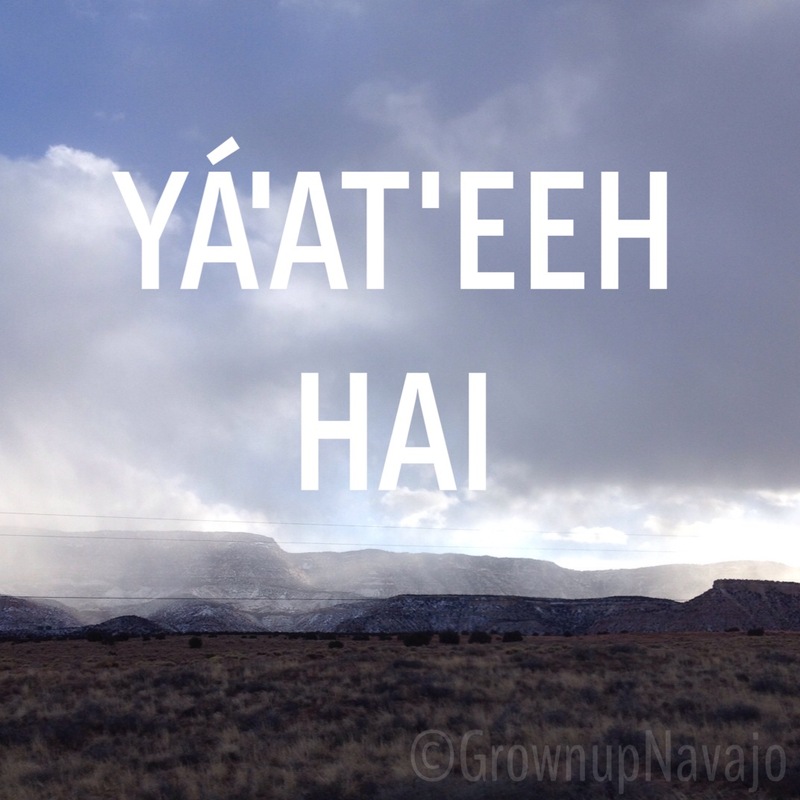 Grownup Navajo celebrated two years in existence and there is much planned for this next year but for now I want this post to simply be a reminder that we are enough even as we strive to be more. Yá’at’eeh Hai (Happy Winter). A beautiful reminder of the blessings we have! =) Thank you!